We’re going down on the farm with this tractor themed boy’s birthday party! Using a farm as the setting plus clever farm-centric decorations, created a party full of kid-friendly ideas! 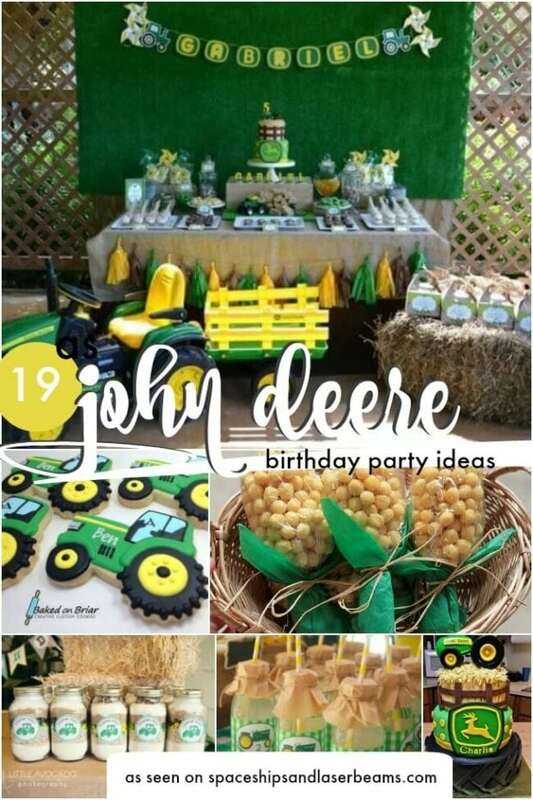 Great use of neutrals — mixed with bright, grass-greens and sunshine yellow, real John Deere Tractors, corn and more — made this a great tractor themed party. I love the beautiful colors and touches Andrea has included in this Dumbo inspired boy’s elephant birthday party. Join the celebration down on the farm with this farm themed boy’s birthday party. I love the cake pops especially! 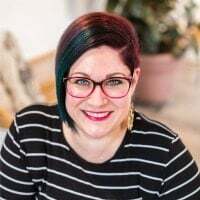 Andrea Malpass, from Where the Green Grass Grows Designs, helped her friend, Stacey, of Little Avocado Photography, throw an amazing tractor party for Stacey’s three-year-old son. The farm was a splendid backdrop for this fun party and Andrea’s party printables made it a cheery and welcoming celebration. A green and yellow birthday banner paired well with fresh corn stalks and a burlap draped dessert table which held the rich chocolate birthday cake, cupcakes and take-home favors. An additional snack table held brown bags full of fresh-popped popcorn, chips–including the perfect theme yellow and green tortilla chips!–milk, juice and water. Personal sized polka dot cups waited to be filled with the snack foods, which were served from bright green and yellow bowls. Theme colors were repeated in striped green straws and yellow and white baker’s twine, which looked adorable with the Mason jars, waiting to refresh the thirty farmers. Kid-sized, ride-on John Deere Tractors could have provided enough fun for the party goers. However, there was a newly constructed sensory table and toy trucks and wagons, too. There were corn rows to run through and corn to pick! And then…there were the REAL, super-big, John Deere Tractors. Extra touches, such as John Deere hats and pots of bright yellow mums, contributed to this charming country event. After an afternoon of sunshine, treats, tractors and dirt, the contented little farmers took home party favors of hand sewn treat bags plus canning jars filled with a bake-at-home chocolate chip cookie mix. This farm tractor party was a great event for everyone!